Andrea Sironi is Professor of Banking and Finance at Bocconi University in Milan, where he has been Rector from 2012 to 2016 and previously Dean for International Affairs and Dean of the Graduate School. He is Chairman of Borsa Italiana SpA and a member of the board of directors of the London Stock Exchange Group and of Unicredit Group. Professor Sironi has been Chairman of CEMS – The international association of business schools – from 2014 to 2016. He has held visiting positions at the Research and Statistics Division of the Federal Reserve Board of Governors in Washington, at the Salomon Brothers Center, Stern School of Business (NYU), New York, and at the Department of Economics of Sciences Po (Paris). At the beginning of his career, he has been a financial analyst at Chase Manhattan Bank in London. 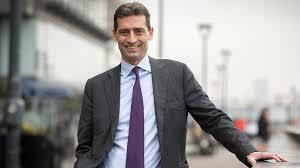 He is also a member of the board of directors of ISPI (Italian Institute for International Politics), Foundation Javotte Bocconi, EASL International Liver Foundation (Geneva), and of the international advisory board of Stockholm School of Economics and Nova School of Business and Economics (Lisbon). Professor Sironi research interests include financial risk management and international banking regulation and supervision. He has published and edited many books and articles in international refereed journals on these subjects.